Did you know that a single infrared sauna session burns up to 600 calories? And that’s just one of the benefits! Why did I invest in a sauna? I made the investment in a sauna when I moved out of student housing, and had room in my office for it. This is not a sponsored post, although I do get credit for purchases made through the links on this page (I greatly appreciate your support of Empowered Sustenance in that way!). I purchased a Sunlighten myself after researching the best options on the market. Improve insulin sensitivity. By raising the metabolism, saunas burn excess blood sugar. We currently lack studies showing this result in humans, but hyperthermic conditions in animals increased insulin sensitivity and lowered blood sugar (source). Detoxification, including elimination of heavy metals. Heavy metals such as lead, cadmium, copper, manganese and nickel have been shown to detox with sweat (source). Note that the body will not detox through sweat during intense exercise – you must be in a relaxed, parasympathetic state of the nervous system to purge toxins through sweat. Supports immune response to fungal and bacterial infections by raising core body temperature. Support skin health. Near-infrared light has been shown to improve elasticity, speed wound healing, and reduce cellulite (source, source, source). Extremely low-EMF. Many far infrared saunas create notoriously high levels of harmful electromagnetic frequencies. EMFs impair the body from engaging in detoxification and rejuvenation processes. Improved energy levels. Although my thyroid hormones still fluctuate on my lab tests, I believe my sauna sessions are reducing my fatigue associated with hypothyroidism. My back acne and acne scarring cleared completely. Although I used nutrition to clear the majority of my acne, I had still struggled with back breakouts until I used my sauna regularly. My blood sugar levels are now within a healthy range, and I credit my sauna. My fasting blood sugar had been consistently high, even though I’ve followed a low-glycemic diet and exercised regularly for years. My flexibility has improved drastically, as has my muscle tone. As someone who does yoga and ballet classes five days per week, I appreciate this increased flexibility and tone. 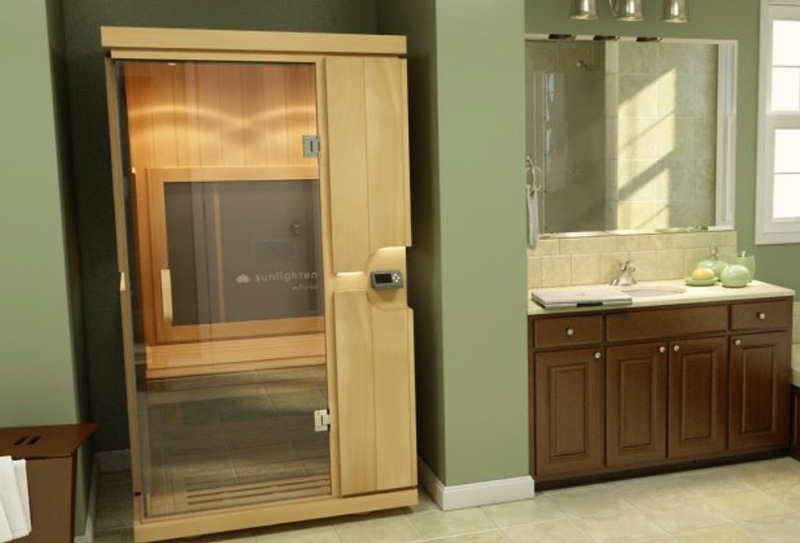 What sauna should you choose? The Signature Series (see video above) uses far-infrared light. I have the Signature I, the smallest size, which fits in the corner of my office. The newest version, the mPulse Series (below) combines all three types of infrared wavelength for the maximum therapeutic benefits. Shower after, to wash off the toxins eliminated with the sweat. Call to place your order and tell them Lauren sent you to get free shipping, a $100 value.